I feel like we finally got that Selena Gomez/Justin Bieber collaboration where they both admit they miss each other and get back together... Except it's not being sung by either of the artists. 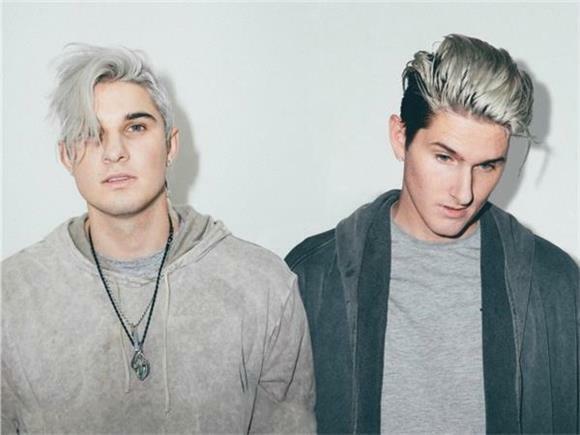 But that familiar sound makes sense, since it's coming from LA-based brother duo Grey, who has created remixes for Selena Gomez, are partially responsible for Hailee Steinfeld's platinum-certified "Starving," and are frequent collaborators with Zedd. Grey, aka Kyle and Michael Trewartha, lay down beautifully-produced, radio-ready music while Bahari adds a layer of Selena-esque sweetness with her pure vocals, singing about how even though she may have never verbalized it, she misses her ex. With the Blood Pop/late Skrillex-inspired beat drop and relatable lyrics, we don't see why this one won't be an instant hit.